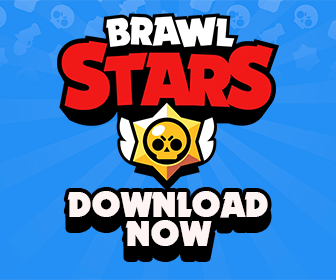 Finally we can download Brawl Stars PC and play this super addicting video games with friends right on our computers. 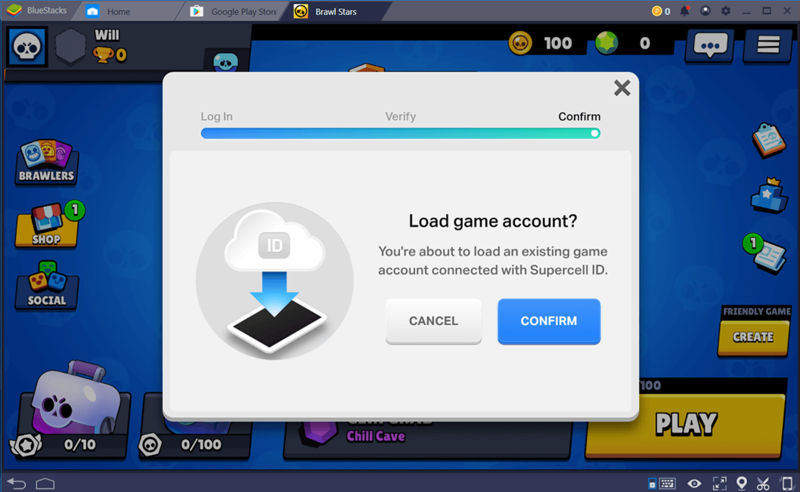 At the moment, you can play Brawl Stars on Windows XP/7/8/10 and also macOS. 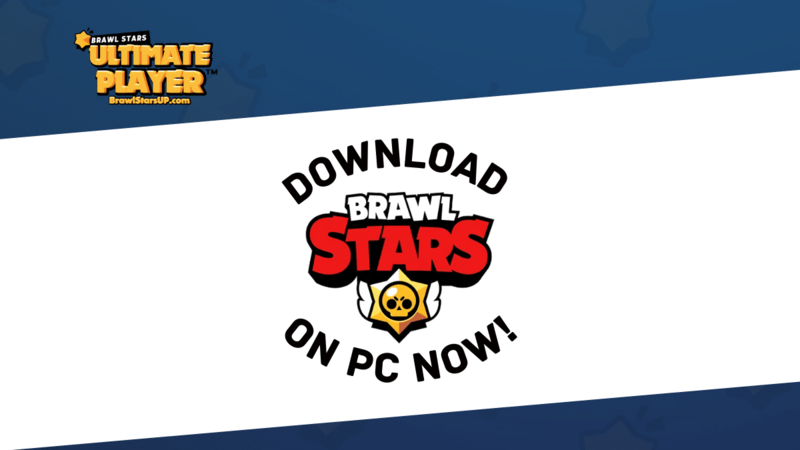 Download Brawl Stars for PC Now! 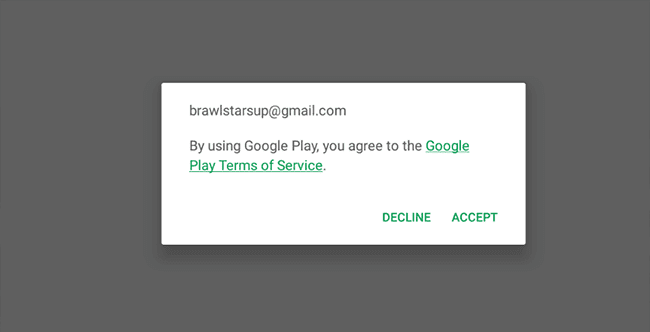 Since Brawl Stars is a game that made for mobiles and tablets, you cannot play the game directly on your computer. Thus, we need use an Android Emulator on our PCs and play Brawl Stars via it. If you have a low-end computer and are worrying whether you can play the game smoothly on it, don’t worry. In this article, we will use Bluestacks to play the game, which is by far the best and the most lightweight Android Emulator for PC. Lots of players now want to ask me that why they should use Bluestacks instead of the other Android emulators like MEMUplay or Nox. 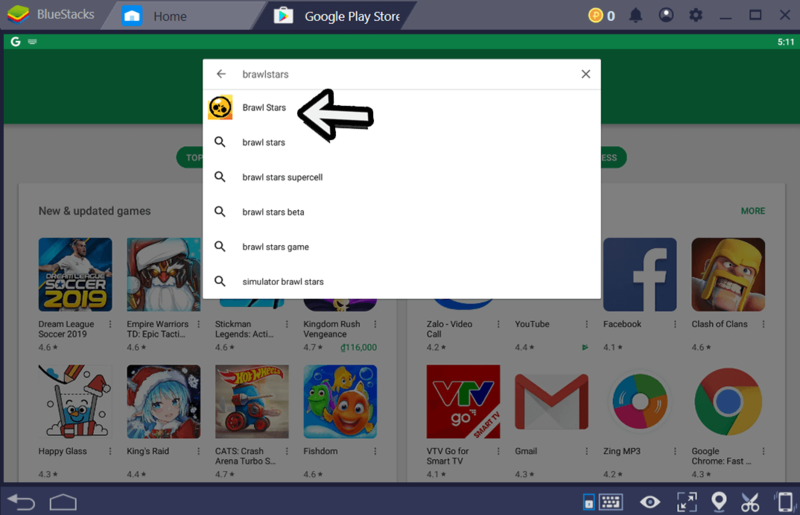 I have been using so many Android emulators for years now and I have to say that Bluestacks is the best one so far for playing Brawl Stars. The beta version of Bluestacks was first released in 2009 and the final version was released in 2011, which was one of the very first Android emulators in the world. After years, the company have been improving the software a lot. As you can see, they are releasing big updates every year with lots of new features. The last year we have version 3.0 and now we have version 4.0. Why Play Brawl Stars On PC Using Bluestacks? It’s extremely easy to install and play the game on your computer. You just need to simply download and install the app with only 1 click. It is 100% free app. You don’t have to pay for any extra fee. You can easily customize the CPU, RAM and Screen Resolution of the app according to your needs so it can run smoothly on your PC. Provides a super high performance. After testing, it’s proven that it is 6 times faster/stronger than the new Samsung Galaxy S9+. It is specifically to work on any PC, making the most of the hardware. Simple User Interface is a pros of Bluestacks. You can find everything you need on the homescreen. The app dock is also super helpful. 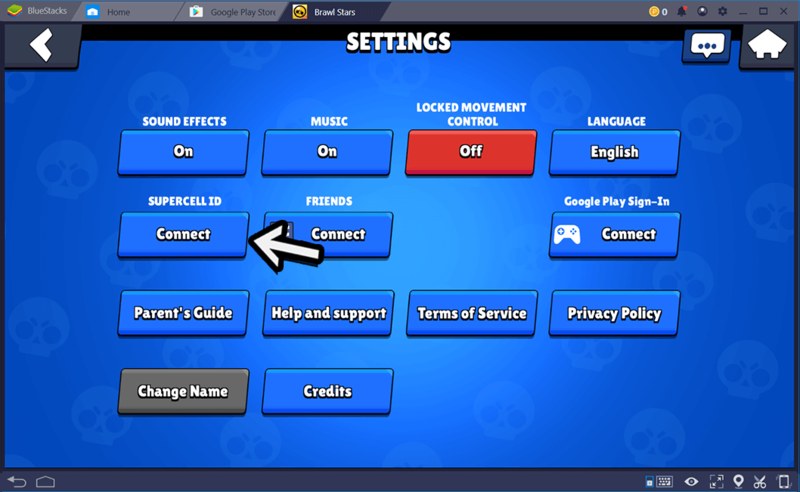 Perfect keymapping that is designed for playing Brawl Stars on PC. Multi-instance feature helps you play multiple games at once. Built-in Streaming Feature: You can easily stream your Brawl Stars matches on either Facebook and Twitch with just one click! At the moment, it supports Windows XP SP3, 7, 8 and 10. You can also use the button below to download the version for Mac. But make sure that you check the system requirements below first! Operating System: Windows XP SP3 and above; macOS 10.11 and above. RAM: At least 1GB of RAM (at least 2GB is recommended). Free Disk Space: At least 5GB. Let’s open the file you have just downloaded and start installing! And done! 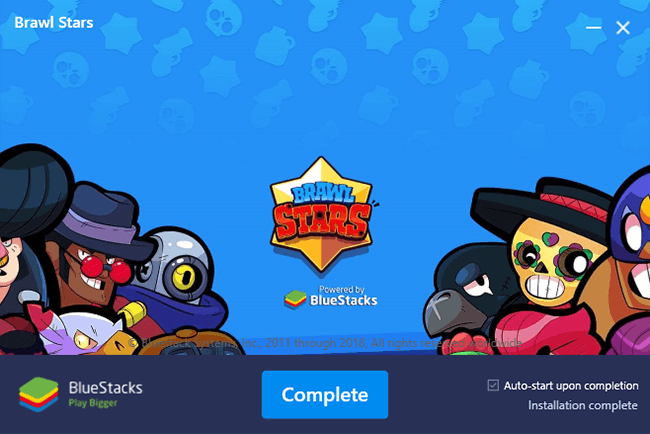 Click Complete to start using Bluestacks to play Brawl Stars! You will see a window like this. Click LET’S GO to continue and sign in with your Google ID. 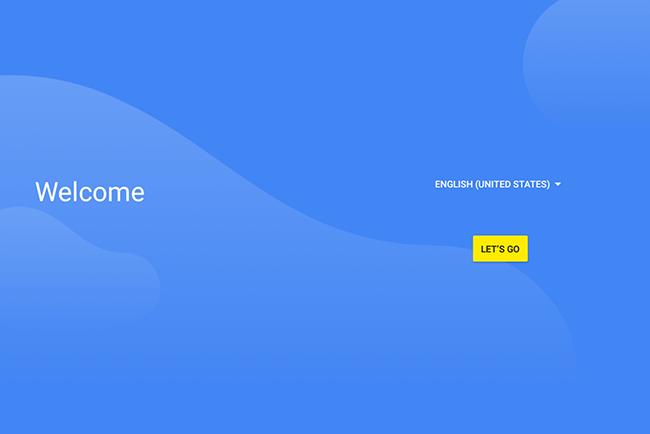 If you don’t have any Google ID yet, sign up for one here. And done! Click on Start using Blue Stacks! If you see anything like this popped up, click ACCEPT! And search for Brawl Stars! And open it once it’s finished. You can also find a shortcode of the game right on your PC Desktop, which means you can just click on it and open the game whenever you want! Super quick! The game control introduction will show up! Aim and shoot: Hold and release your Right mouse. For using the Super: Hold E and move your Left mouse. And there we go! The Brawl Stars for PC! Done! Now you can play your account on PC! A big thanks to Jake for submitting this review! For years, the only way that people could enjoy multi-player games was to be in the same room with one another. The Internet had limited capability, meaning that your ability to play with friends or family meant that you had to do physically be in the same location, using the same device to be able to enjoy the fun. However, the Internet has changed this greatly. It has made it now so that you can play a multi-player game with other people as long as they have downloaded the game to their computer, phone, or tablet. This enables you to be able to enjoy a great deal of fun with people, some of whom you may not even know. There are many games that are available now that allow you to be able to play multi-player games by joining teams, units, clams, and other groups to be able to battle or work your way through various scenarios that the game offers. It is becoming an enjoyable feature that many players love because they are allowed to improve their own skills by having a good team, or they can earn additional points and rewards through victories that their unit achieves. The newest Supercell game, Brawl Stars PC, does this for you as well. It is one of the features that makes this game one that you will truly love. 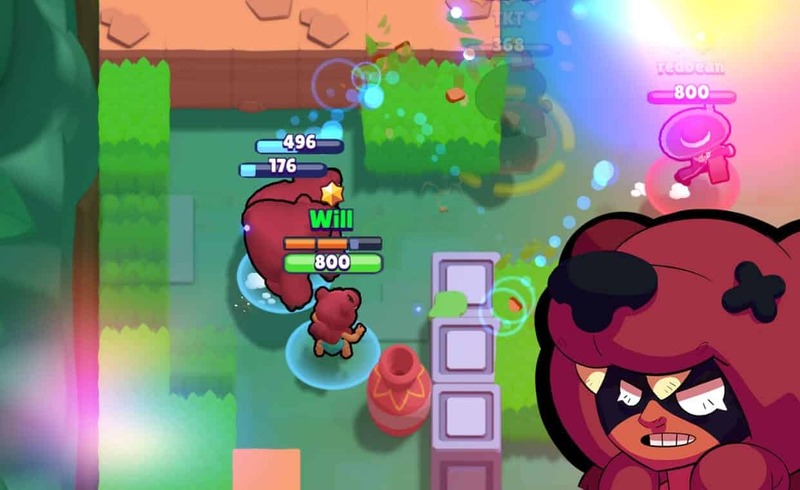 You can build and improve your characters (Brawlers) and their skills, while also being able to battle it out with other players who are working towards the same goals as yourself. Best of all, there are different multi-player options that make this even more fun. Where it begins is with the 3v3 multi-player option. This allows you to take your teammates and battle it out against the Real opponents in a winner take all conquest. In this battle, you and your teammates work together to be able to conquer your opponent, and you can use your various skills to help improve the success of one another. This is truly a lot of fun to play, and you will find it something that can be quite addicting over time. One of the 3v3 options that you will truly love is the scrambling battle. This allows you to collect gems that spawn during the battle. By getting 10 of these gems, the countdown towards victory begins, where each team is then trying to push the other to ensure that neither one can hang onto those 10 gems towards victory. The group that is collected the 10 gems is trying to bid a hasty retreat back to their location where they can then win the battle because they have reached the required goal. The opponent is trying to stop them, trying to knock gems away so that the battle will continue. This makes for an extremely fun and exciting game, which you will find will provide you with a lot of enjoyment. You will love the fact that the game really isn’t one until the group that is collected 10 gems has successfully reached back to their home. It is so much fun for your team to try to stand in the way should your opponent reach the goal first. You will surely have a lot of fun. If you are looking for an all-out battle Royale, then the full team option is really the one you love. 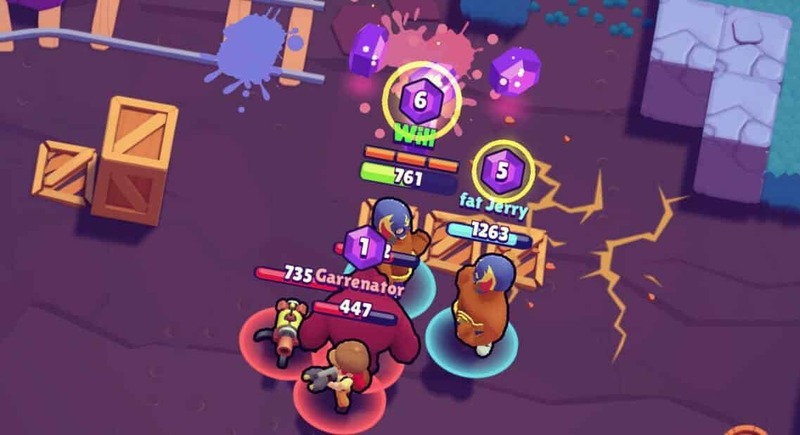 This makes it so that all members on your team battle against an opponent with the objective of destroying your opponent completely and earning the hundred coins that come as part of the loot that you receive. To get into this game, each player must give 100 coins to enter the battle, meaning there is a great deal to lose. Call this an entrance fee of sorts, which enables you to get involved in the battle, with the final goal being to collect the loop box that is given to the victors. Each time you battle, you are putting your hundred coins up at risk, hoping that you will be the victor so that you receive the loop box. This can contain an assortment of rewards for you, which can include coins, hero improvements, and upgrades that can make your character even better or allow you to purchase improvements for your hero or heroine. Both Phone and Computer Users are having fun! 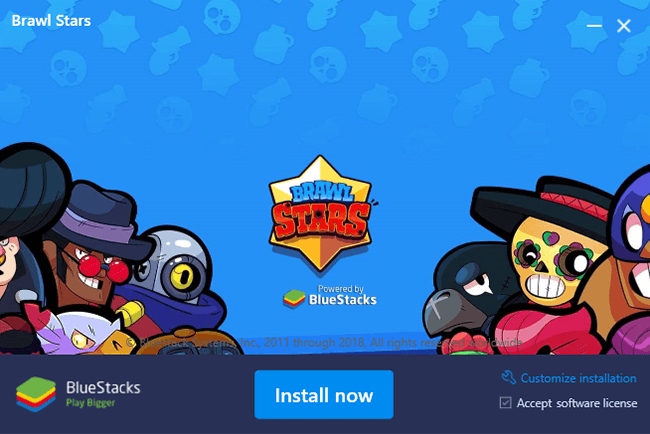 Since its introduction to consumers, Brawl Stars for computer has become one of the most popular games on the market today, especially for Windows users. Not only are they downloading the game to enjoy in its one-on-one mode, but they are loving the multi-player functionality that enables them to play with partners all over the world. If you have tried multi-player games before, you are truly going to find this one to be one of the most enjoyable on the market. Because of the different modes you are able to battle in, you will find that it makes it so that you will love the different scenarios and schemes, the teamwork involved, as well as your ability to improve your character in ways that will make him or her a whole lot more powerful and agile. Supercell has long been the creator of innovative and exciting games, but this one may be the best of all. Because of the way that is designed, the amazing graphics, the intuitive design, and the ability that it gives you to be able to play with other players, you are going to find that it will be hard to put down after a while. Downloading it as a snap, even if you are an Android user, making it so that you will not have to go through many steps to be able to start your hours of enjoyment. If you haven’t downloaded Brawl Stars for Windows PC yet, get on board and soon you will be finding yourself enjoying these great team battles. Last but not least, at the moment, Brawl Stars support almost any Windows version. Regardless of your computer model and your Windows version, you can easily download and install the game!